Made and found in Italy, This shirt has all the features. The beautiful print is special designed for this size. Why? check the bottom! The print stops at the bottom hem and also ends at the fold of the front placket. The sleeve pattern is mirrored and the center back of this piece is beautifull. At the inside of the front placket the selvedge of the silk is visible and ‘pura seta’ -pure silk- is printed on the fabric. 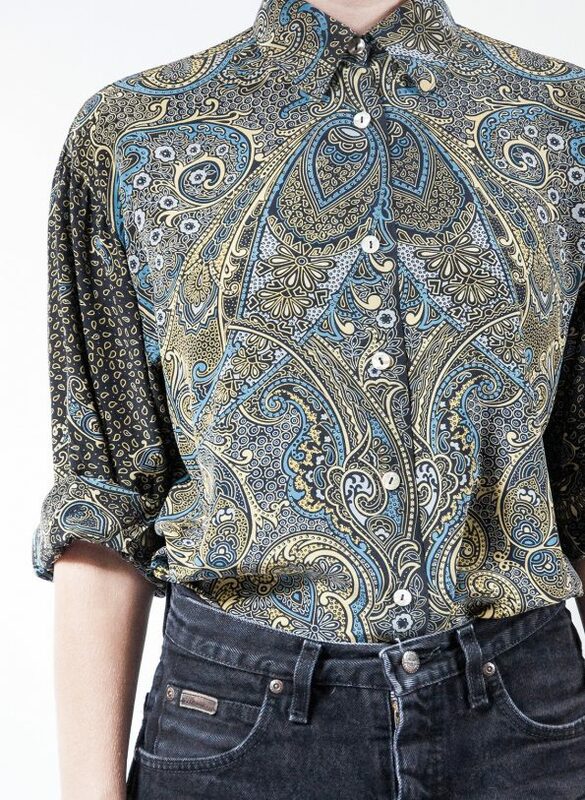 The colourpalet of this paisley makes the shirt easy to combine with black, blue tones and green. and to finish this great story: the buttons are real mother of pearl.